All Island Fence uses the best products for all of their PVC fence installations. 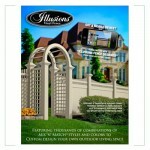 lllusions Vinyl Fence is manufactured in state-of-the-art facilities by a company that has been manufacturing and distributing fence products for over 40 years, and it is manufactured right here on Long Island, NY. Most of our Vinyl Fences offer a “good neighbor” design. What this means is that the fence panels feature the same exact look, and feel on both sides of the fence. Our PVC fence installations line offers Privacy Panels, Semi- Privacy Panels and Contemporary picket Fence designs. 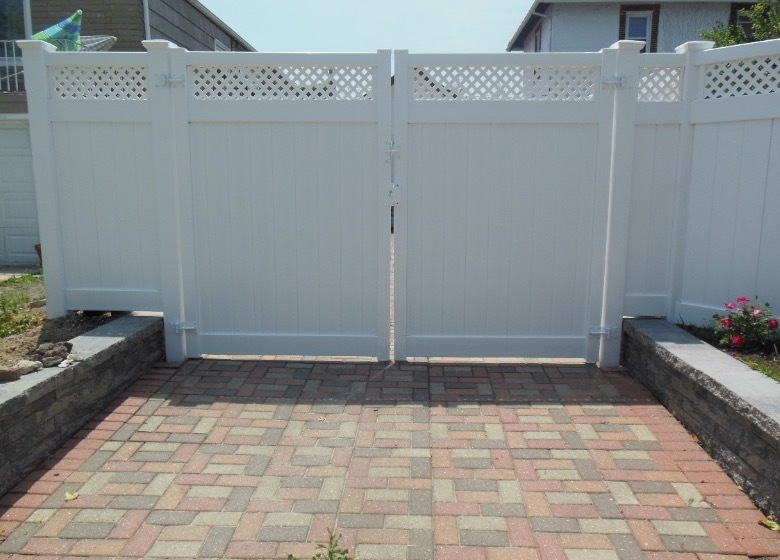 The PVC Fences come in a variety of different colors White, Beige, Gray and adobe, you can customize your fence style and mix-and-match colors to your preference. All PVC fence products are maintenance free, and are backed by a lifetime guarantee on the material against manufacturer’s defects and our 10 year labor warranty. PVC Vinyl Fencing is also offered in a variety of Wood Grain colors – this option gives you the wood look without the maintenance. 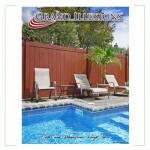 Check out the PVC Vinyl Fence Brochure. All of our PVC fence panels are inter-locking (there is not hardware on the fence panels) and each panel has a steel reinforced bottom rail. Most fence styles are available in 3’, 4’, 5’, & 6’ high x 8’ wide. Certain styles can be ordered in special heights 8’-10’-12’ high depending on location and town regulations.